Everyone is fond of buying a car but it needs servicing and efforts to keep it working, not only in the early stages but forever. Whether you have a big or small, sedan or hatchback, coupe or convertible car it doesn't matter, what matters is you should know how to maintain it. Buying a car is not enough; you should also have an idea of how to keep it running at good working order. Cars are highly valuable, but you have to fulfil their maintenance requirements at regular intervals to keep them in good condition. Whether you talk about summer, winter, autumn or spring season, your car should be able to give the best performance, and you should feel comfortable inside it. 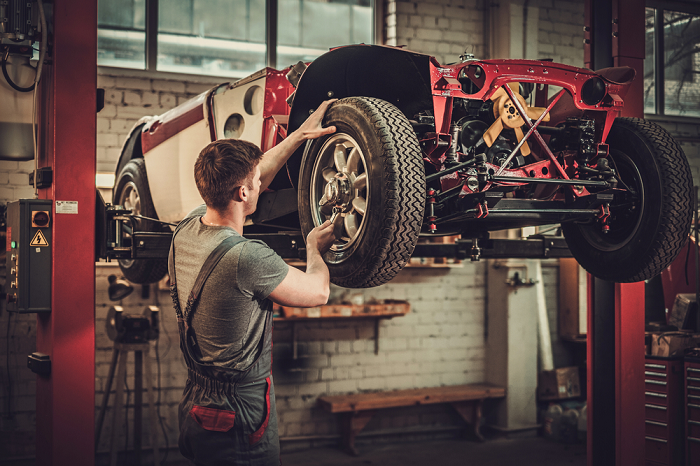 For extending the life of your car and for enhancing its performance, it's essential for you to have it serviced from a trusted car service station at regular intervals. When your vehicle gets exposed to different weather conditions, it remains at the risk of wear and tear; therefore, you should conduct maintenance checks regularly. Whether you use your car daily for commuting from home to office, or you use it only for long road trips, it gets damaged quickly if the road conditions are not that good. Therefore, it's crucial to have it checked from a well-trained mechanic from time to time if you want to avoid expensive repairs later on. Carrying out regular maintenance helps in keeping your car in the right working order, which eventually plays a vital role in enhancing your safety. Here are some minor and major problems that your car can suffer if you fail to perform maintenance checks regularly. Tyre Pressure Issues: During the winters as the temperature falls, the tire pressure decreases affecting the vehicle's safety. Tyres come in contact with the road directly; therefore, you can't afford to drive your car without having inflated tyres. To avoid accidents, please make sure that you follow your owner's manual, and find out what is the right tyre pressure for your tyres. Engine Problems: Neglecting the engine light alerts can cause severe damage to your engine, and will also reduce the fuel efficiency of your vehicle. So if you want to prevent costly repairs in the future, make sure that you take your engine light alerts seriously. Rust on the Body: Cars are supposed to be kept clean by washing frequently; otherwise, their metal frame starts rusting. Constant exposure to dust and water can lead to this problem, so it's necessary to clean your vehicle frequently. Performance Issues: Don't forget to change oils if you haven't done that for a long time now. Your car needs uncontaminated fluids for effective performance. So make sure that you replace them at the right time to maintain the efficiency of your vehicle and to enhance its durability. Poorly Performing Brakes: Pay attention to your brakes and check them regularly. Your driving habits can cause improper functioning of brakes that can eventually lead to accidents. Battery Problems: Is your battery unable to perform? If that's true, you need to have it examined by a competent mechanic. During summers, its fluids start evaporating, thereby causing severe damage to some of its components. Similarly, in the winters, the oil starts thickening making it difficult for your vehicle to start quickly. Therefore, if you want to avoid all these problems, get your battery checked regularly. Fixing all the above issues is easy if you have your car serviced at regular intervals. Interim Car Service: This type of service includes checking of oil, oil filters, brake functioning, tyre pressure, fluid levels, antifreeze strength. And if the mechanic discovers any major problem with your vehicle, they will bring it to your notice before addressing it. Full Car Service: When you opt for a full car service, the mechanic will inspect oil filter, air filter, pollen filter, fuel filter, spark plugs, brakes, lights, and steering & suspension. Again, if they discover any major issue with your car, they will inform about it to you before they fix it. Sometimes we ignore small issues until they become large and thus spend more money on repairs. You must have heard precaution is better than cure that applies to the cars as well, so make sure that you fulfil the regular maintenance requirements of your vehicle.